One’s perception of good coffee is highly personal. I know that DrummerBrother will go to the other end of Sydney to get a good cup of coffee. I was not a natural coffee drinker in my younger years. When I was at uni, I had to train myself to drink black Nescafé (how could I? I’ve had a blackban on Nestlé for years now for ethical reasons) so that I could be cool when I went to other people’s places. 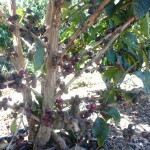 When I first tasted coffee in France, I was not keen but I could drink it to be sociable. 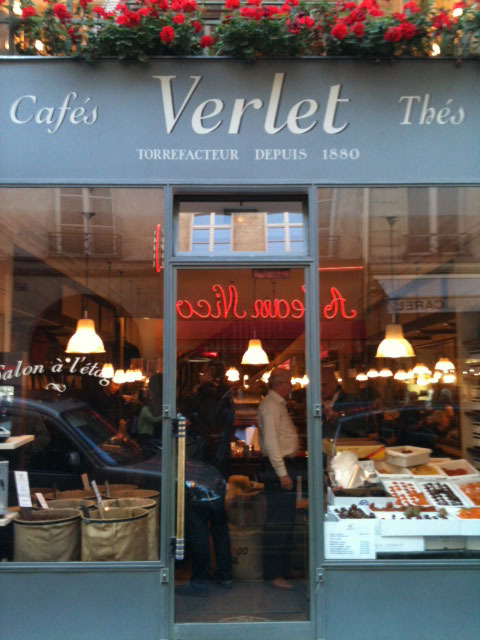 My real liking for coffee developed when we moved into Paris and I was introduced by Relationnel to Verlet on rue Saint Honoré, one of Paris’ oldest coffee vendors. They have an amazing selection that they roast themselves. You can sit down and order from a long list. It comes in a little green cup on a leaf-shaped saucer with a choice of sugar from different places and a chocolate. I soon discovered that the type I like is colombie and that it musn’t be too bitter. The coffee served in regular Parisian cafés is consistently thick and bitter. Dad was convinced that it was laced. When he came to visit me in France, he’d go down to the corner café, prop himself up at the bar and watch the locals. He said he’d see some businessman suddenly rush in, order a coffee, steep it with sugar, down it in one go, put his money on the counter and rush out again. He couldn’t possibly just be drinking coffee. I was too innocent and didn’t know what was really in it! That’s fathers for you. 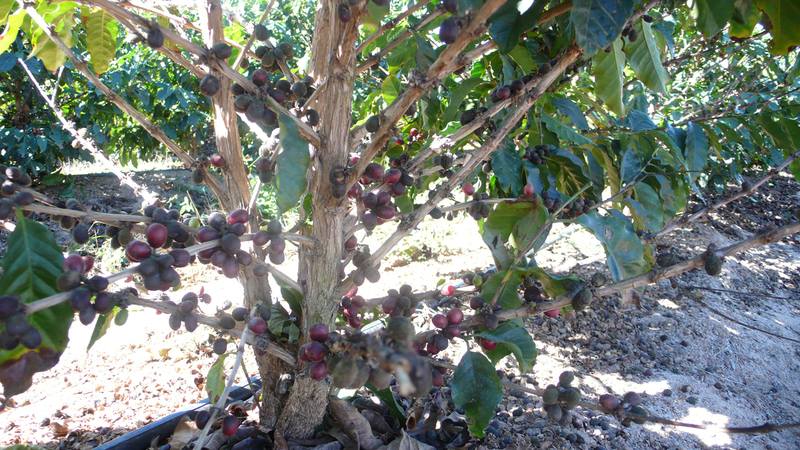 It was at Verlet’s that I first tasted Australian Skybury which I now buy as an alternative to my regular colombie. 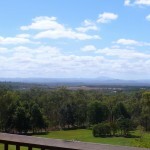 When we were in Australia last time, we went up to the Atherton Tablelands and visited their coffee plantation. They also grow bananas and langons to keep the staff busy all year. 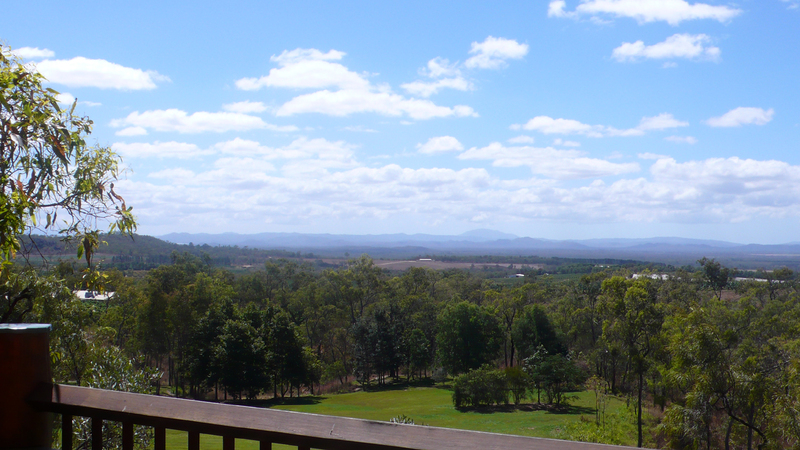 The property is very beautiful and they have the most wonderful building on stilts with a verandah that has a spectacular widesweeping view where you can eat lunch and drink coffee before you go on a tour. What I really love though is cappuccino. Italian cappuccino. I used to limit my consumption because I thought it was made with cream. When I discovered it was actually steamed milk foam, I was delighted! I was not entirely wrong about the cream though. In Normandy in particular, but in a lot of other provincial areas in France as well, they do make it with cream. I’ve now learnt to check first if it’s made with “mousse de lait” and if it’s not, I don’t order it. In Blois the other day, when I asked the question, the waiter said, “No, it’s not usually made with milk foam, but I can do it for you”. Now that’s what I call service. 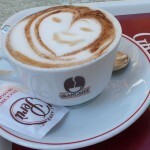 The very best cappuccino experience I have ever had was in Rome. We’d seen a TV programme on “Secret Rome” and Ginevra, the commentator/photographer, took us to Alfreddo’s on via Giulia, just opposite some administrative office. The employees regular duck over and since there are only two tiny tables on the pavement, we had to wait our turn. After he set the cappuccino on the table, the waiter added a heart and a little face. Relationnel told him we’d seen Alfreddo on TV in France so out he came with big smiles and shook our hands enthusiastically saying “Bonjour ! bonjour”. All other cappuccinos pale in comparison. 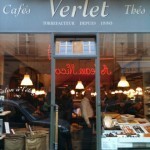 This entry was posted in Food and tagged Alfreddo, capucchino, coffee, Skybury, Verlet. Bookmark the permalink. 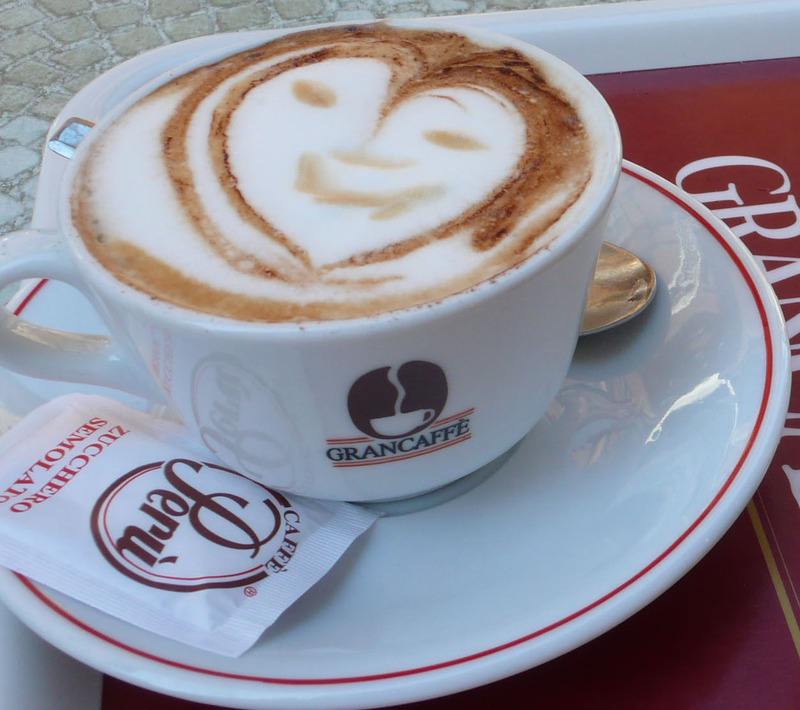 You have to remember that the Italians do cappuccino and latte – they generally do it well. It is not a French coffee, they have cafe au lait, so you have to give the French time to improve. In Spain and Portugal it is expresso. The worst coffee generally for a nation, that I have found so far, is in the USA – it is just like drinking warm milk. The coffee in Brisbane is variable but can be excellent if you purchase from one of the shops that roast and sell their own beans like Merlos, Grinders or Di Bella. Melbourne coffee is generally of a higher standard as there are lots of Italians and Greeks living there and wanting good coffee. To be a coffee snob you have to search out the good shops and find where they train the baristas well. There is no greater disappointment than the expectation on the nose of a great coffee to have this dispelled on the palate.